> Ford F-150 Raptor vs Ariel Nomad. Which is better? Ford F-150 Raptor vs Ariel Nomad. Which is better? Jethro Bovingdon of Drive Tribe recently had the chance to sample the new Ford F-150 Raptor and the Ariel Nomad. Which one is king out there in the desert? 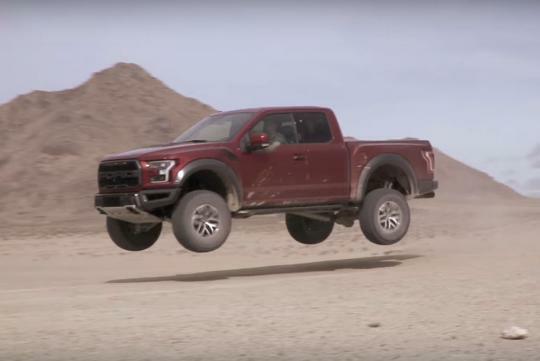 Shot in the Johnson Valley recreation area in California, the place is equipped with a selection of different surfaces to test out the Raptor and acts as the perfect playground to fully exploit all its off road prowess. While the truck feels total at home jumping and sliding around at speed, the same can't be said of the Ariel Nomad.